Call Lane Social in Leeds is eight years old. With its dark, but lively main bar playing indie rock music, it offers everything from locally brewed ales to high-end spirits. Its sister venue upstairs, the Hawaiian themed Tiki Hideaway, specialises in rum based cocktails. To help them celebrate, myself and a guest were greeted with a glass of Prosecco by Events Manager Megan and shown to a VIP table scattered with birthday balloons and a trio of nibbles. The bar’s general manager Adam was there to give us a rundown of the bar’s new £30 gin boxes and introduce the Hawaiian themed after-party upstairs with the promise of hula dancers and rum cocktails. Guided by Adam, we set to creating our own cocktails based on four flavours of gin: Aber Falls Orange Marmalade, City of London Sloe, Whitley Neil Raspbery and Whitley Neil Rhubarb and Ginger. 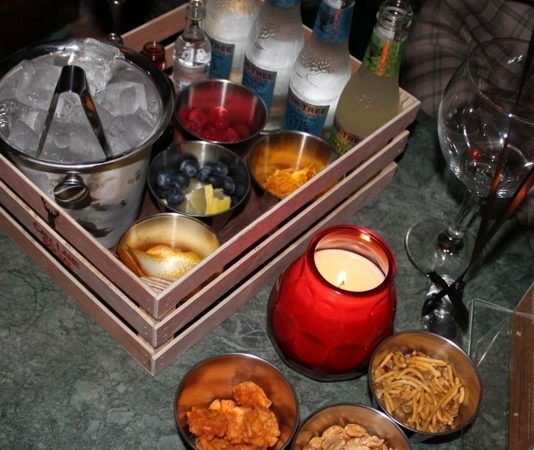 Our DIY kit consisted of a crate containing an ice bucket, the gin miniatures, assorted bottles of Fever-Tree tonic and several pots of raspberries, blueberry, lemon and orange for garnish. 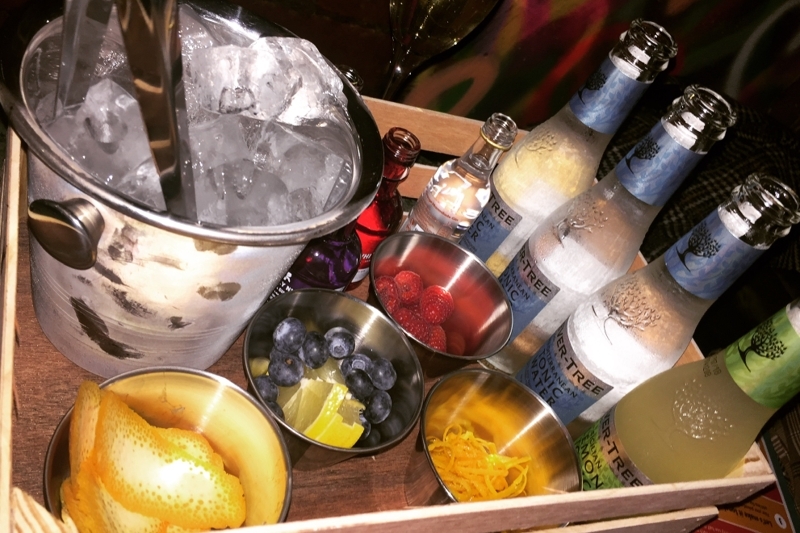 The idea of creating our own drinks was an imaginative twist on the standard night out and I predict the gin boxes will be a big selling point in future. After finishing our evening downstairs, it was time to enter the Tiki Hideaway. 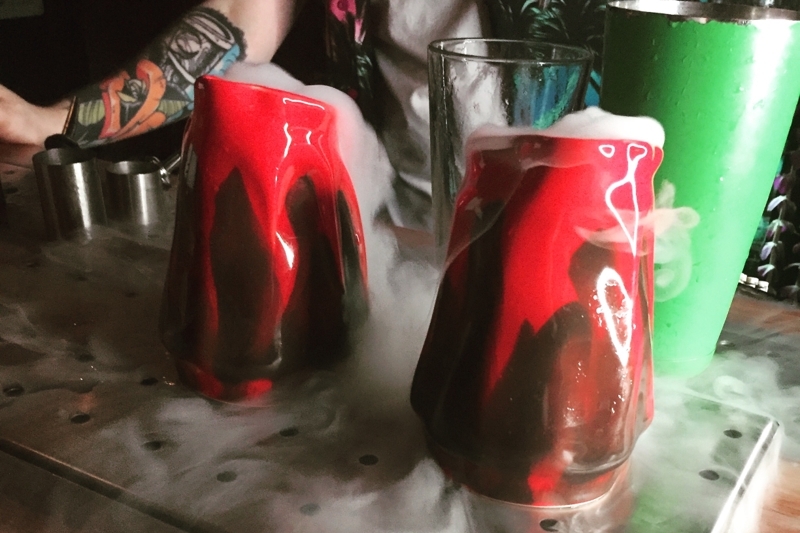 Here we could sample such delights as a Volcano cocktail, a fruity concoction of cranberry, apple, lime, vanilla syrup and rum dosed with dry ice to produce a plume of smoke from the volcano style glass. 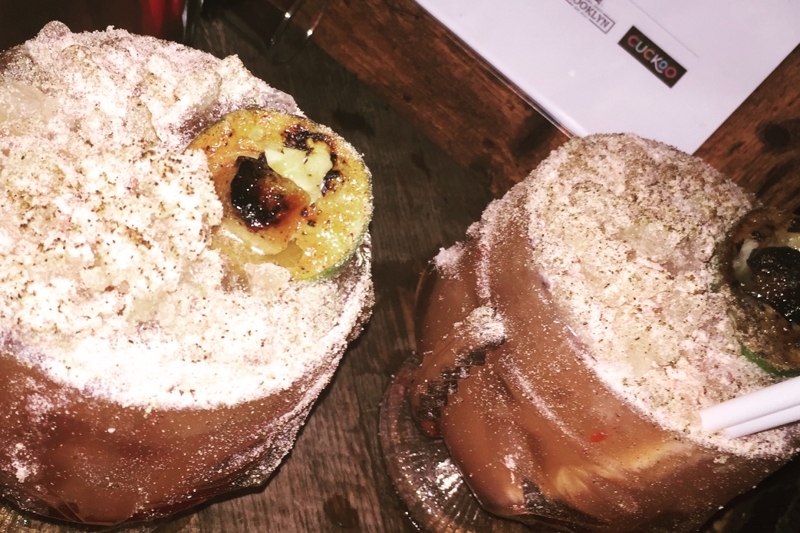 My guest enjoyed the rather oddly named Flaming Zombie, which consisted of rum, apricot, orange, pineapple, pomegranate and lime adorned with passionfruit and set alight. 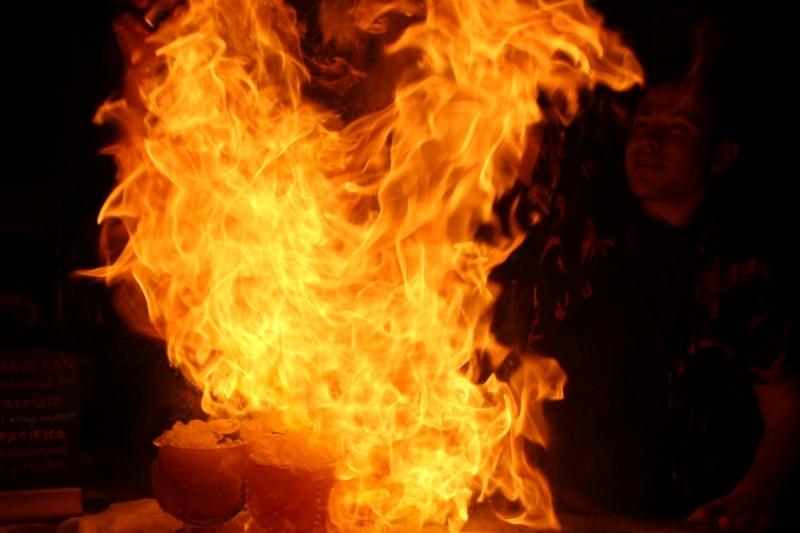 Bartenders rang a bell to grab customers attention as the drink was sprinkled with a secret Tiki blend to produce the drink’s distinctive roaring flame. Quirky accompaniment came from entertaining duo The Cash Cows who played acoustic covers of Elvis Presley’s Blue Hawaii, amongst many others. Two women dressed in flower garlands, grass skirts and flower tops performed party tricks like walking on stilts and hula dancing, while guests lapped up the Hawaiian atmosphere with a spot of enthusiastic limbo dancing. The hospitality at Call Lane Social was exceptional and all our needs were attended to. The gin box was my highlight of the evening, but the Volcano and Flaming Zombie cocktails were a close second. The drinks are carefully considered according to the theme in each bar and are price appropriate.